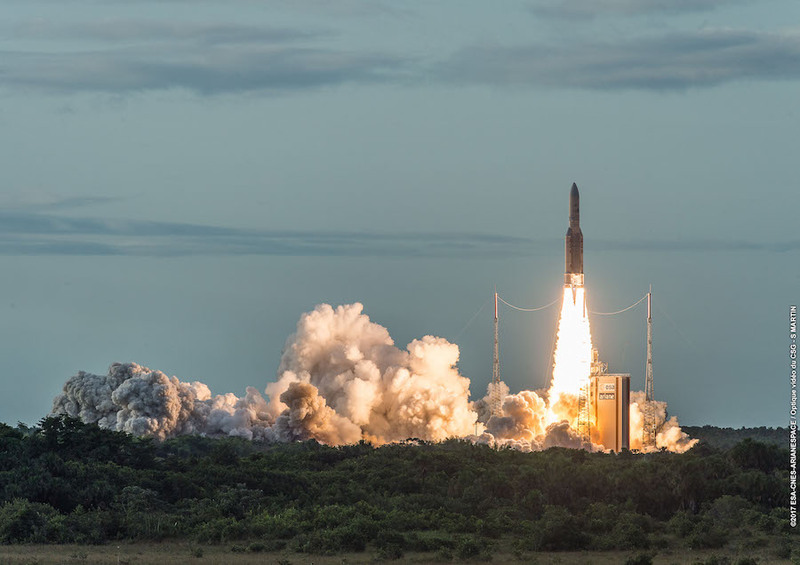 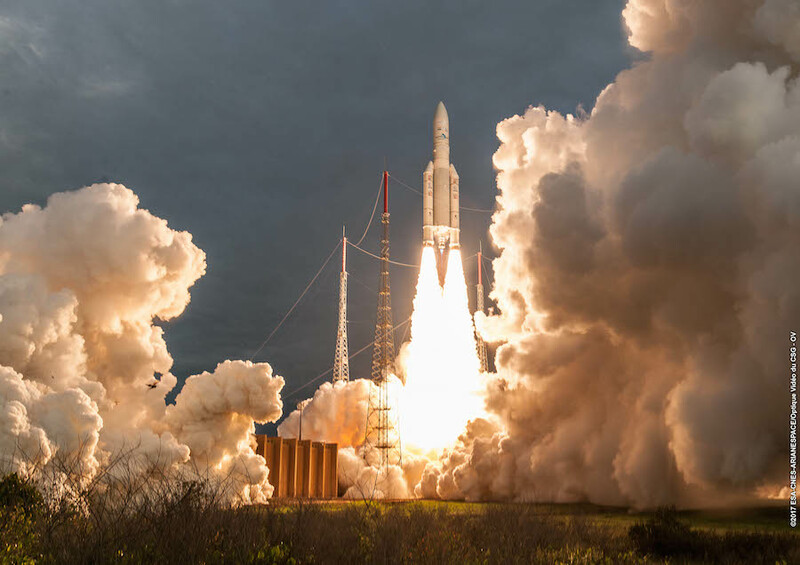 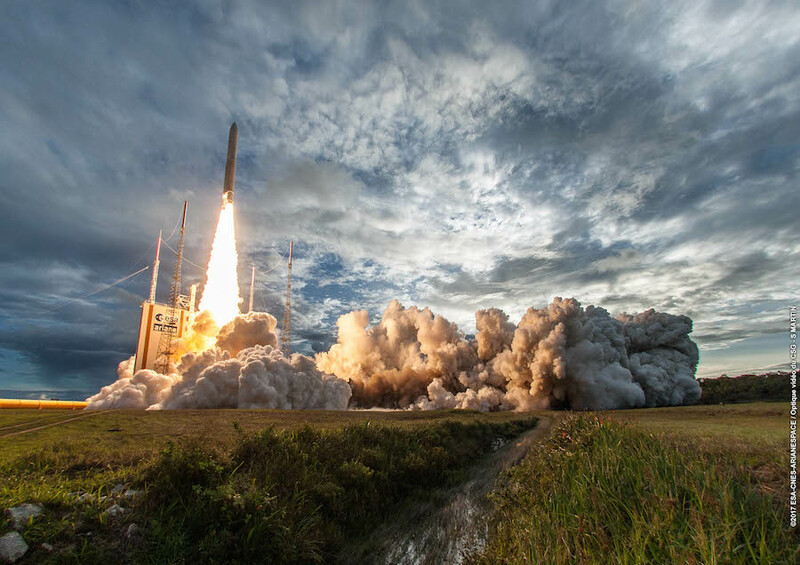 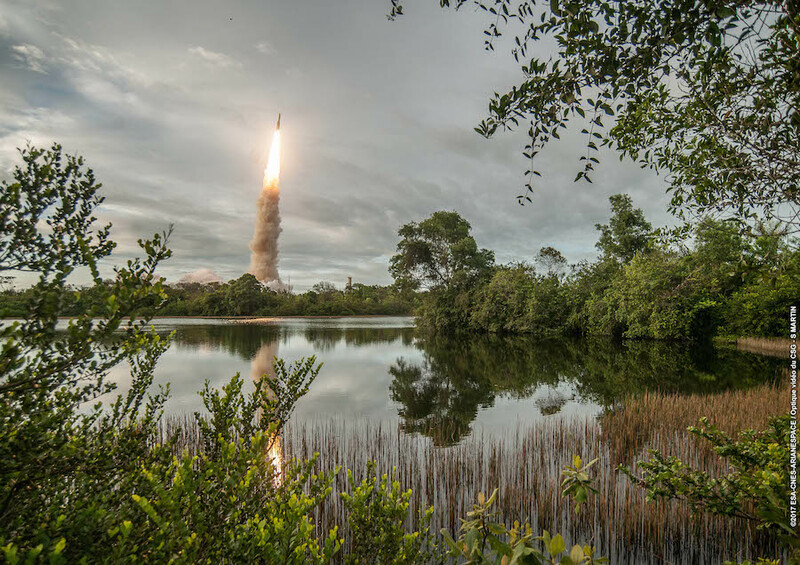 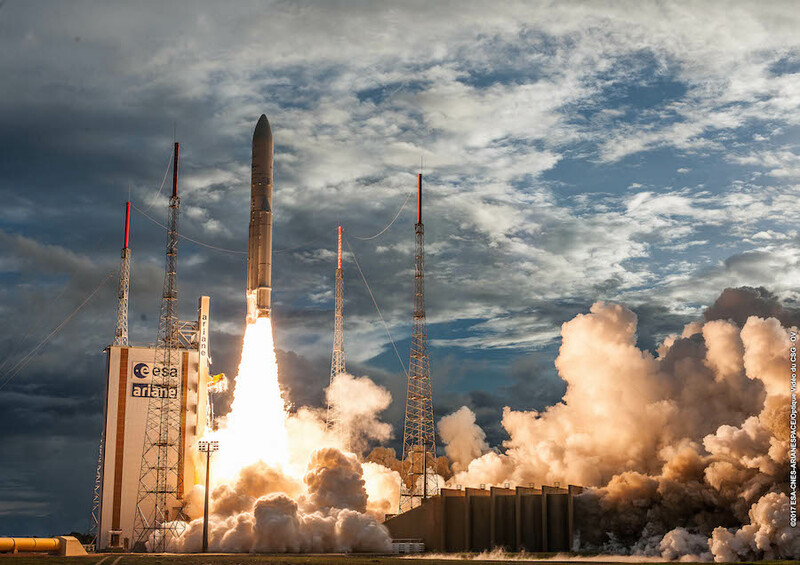 Propelled by two solid rocket boosters and a hydrogen-fueled Vulcain 2 main engine, the Ariane 5 took off at 2115 GMT (5:15 p.m. EDT; 6:15 p.m. French Guiana time) Wednesday from the ELA-3 launch pad at the European-run Guiana Space Center on the northeastern shore of South America. 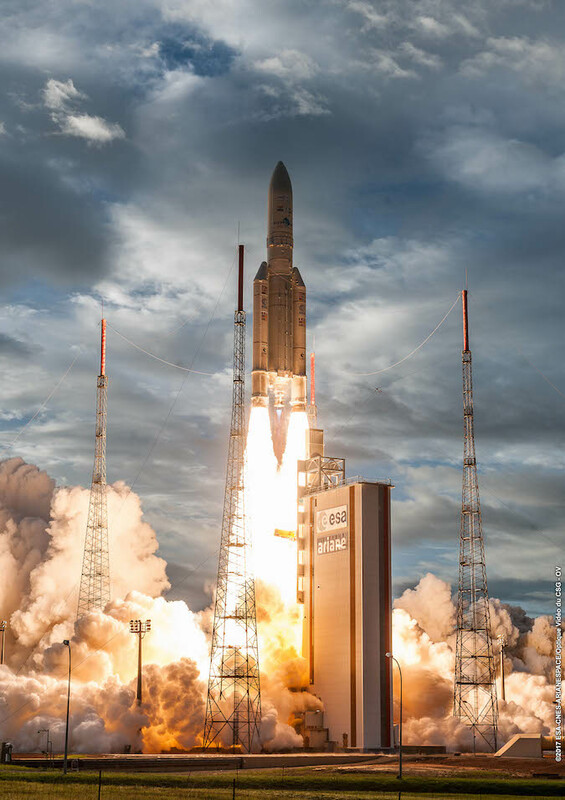 Its payloads were the Hellas-Sat 3/Inmarsat S EAN and GSAT 17 communications satellites designed for television broadcasts across Europe, the Middle East and Africa, airborne Wi-Fi connectivity as part of the European Aviation Network, and video and data distribution services over India. 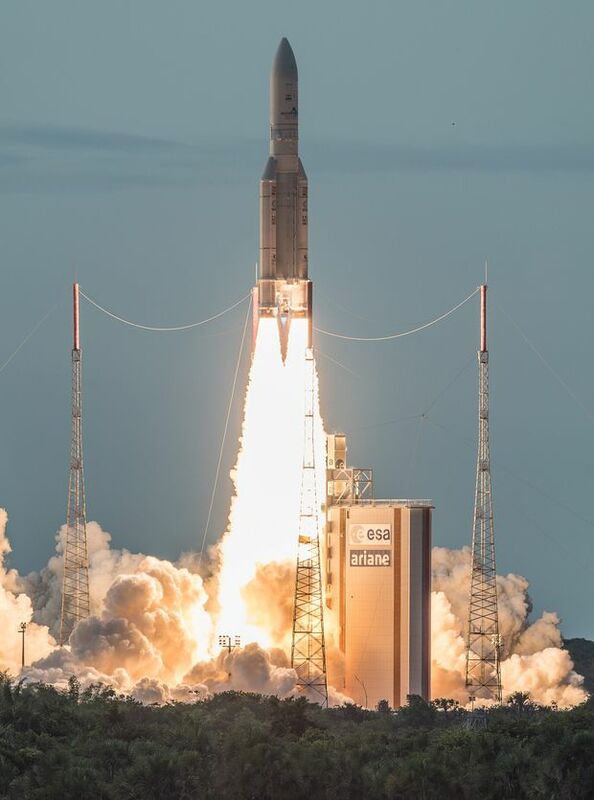 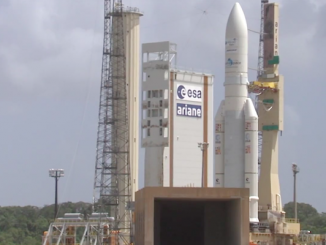 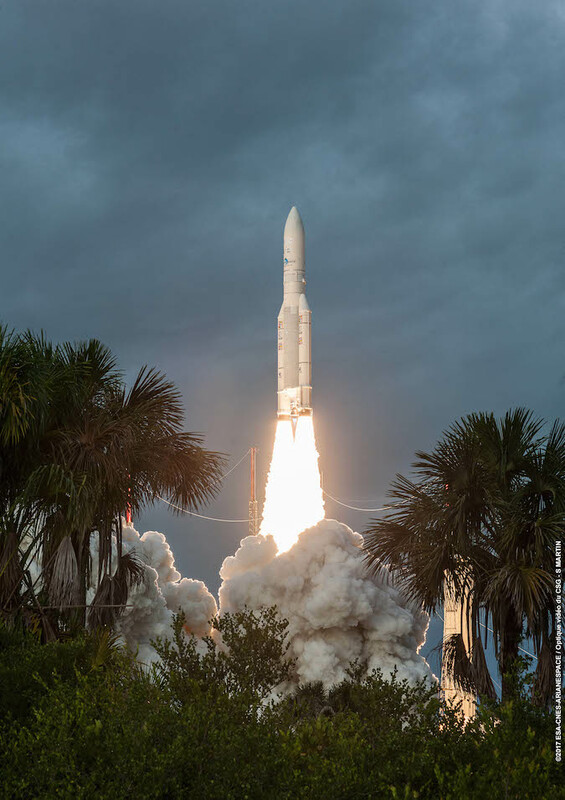 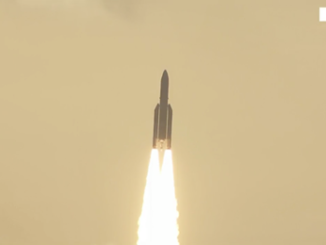 Wednesday’s launch was the fourth Ariane 5 flight of the year, and the 94th Ariane 5 launch overall. 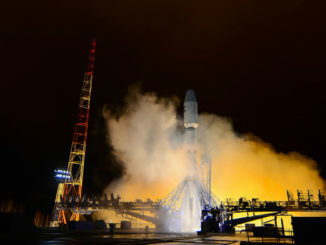 A video replay and photos of the liftoff are posted below.